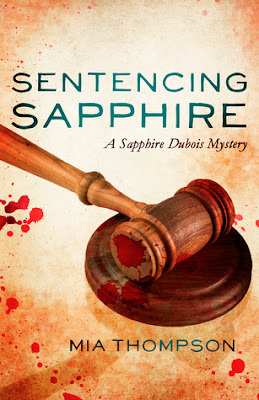 Sapphire Dubois is back in the follow-up to the international bestsellers STALKING SAPPHIRE and SILENCING SAPPHIRE, fighting her most grueling serial killer yet. A summer has passed since the catastrophe at the country club. Heiress and vigilante Sapphire Dubois has escaped to Paris, where she has shed her rich persona and lives as the infamous Serial Catcher. When the handsome Detective Aston Ridder tracks her down, Sapphire returns home to find Beverly Hills in chaos. A new vigilante has taken over Sapphire’s old job, and will stop at nothing to get her predecessor out of the way. Meanwhile, a man with dark intentions and a deceiving smile has nestled his way into the rich community and is killing off heiresses. It doesn’t take long before Sapphire finds that this man, the next killer she has to catch, is none other than her estranged father. Already plagued by sickening memories, Sapphire is pushed to the limit when her father initiates a deranged game that threatens both her sanity and the lives of everyone around her. While Aston struggles to keep the woman he loves from drowning in her father’s madness, Sapphire battles to outwit her merciless opponents before time runs out and more innocent blood is spilled. 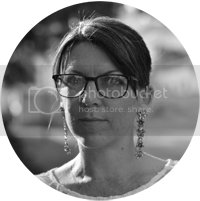 Mia Thompson is a Swedish-born author living in Sacramento, California. Her international bestsellers, Stalking Sapphire and Silencing Sapphire, were published in 2013, and followed by the third book in the series, Sentencing Sapphire.